Incredible upscale American Cuisine Restaurant Bar for sale in the Southwest Orlando in the Windermere / Dr. Phillips area. Business has a paramount location with 160+ seats inside and 40+ outside. Entertainment throughout the week keeps customers coming back for more. Known for great food with great prices. Owner just manages from afar where as a full-time owner operator could do even better. Full management and staff in place with great solid lease. 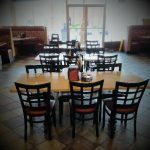 For more information on this restaurant and bar for sale in the Orlando area please call 407-478-4101. Facilities: Great looking facility with a full bar and large kitchen. The facility has a 4COP SRX full liquor license and has both indoor and outdoor seating. Growth & Expansion: Business continues to grow and do well year after year.